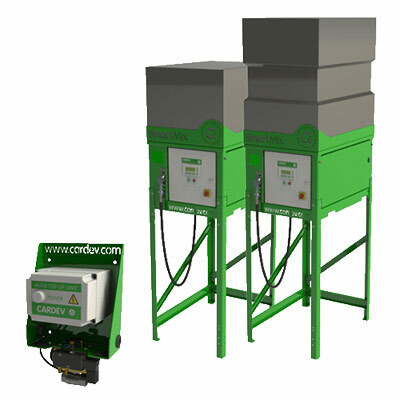 CARDEV by-pass filters are permanently installed, taking a small amount of flow from the system to which they are fitted, continually filtering whilst the machine runs. 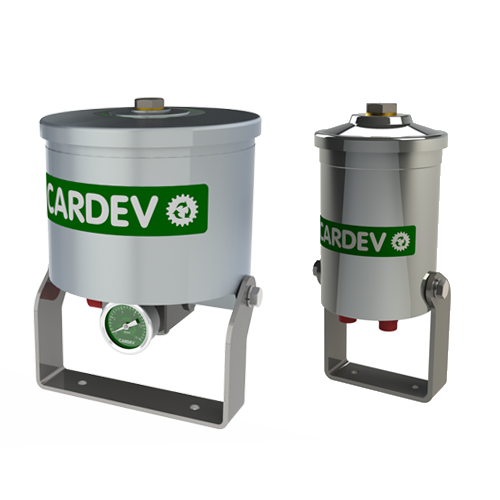 CARDEV’s Offline filter systems are either portable or fixed units, fitted with self-contained pumping systems, allowing oil to be filtered even when your machinery is not running. Also useful for containers of oil. 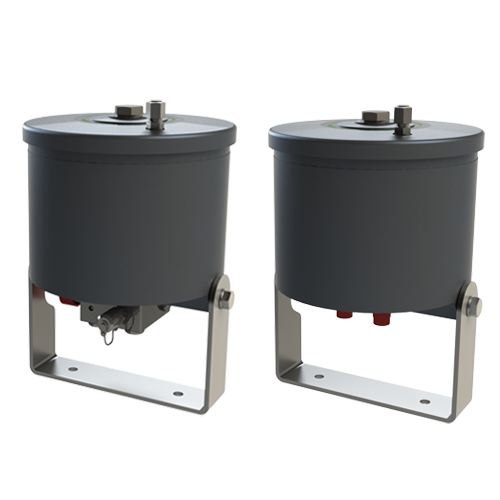 A bespoke range of by-pass and Offline filtration systems designed specifically for the subsea and offshore industry. Engine by-pass filter suitable for very small engines and large engines. 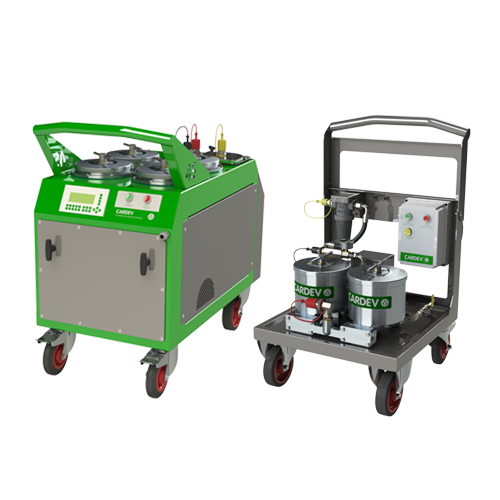 A comprehensive range of equipment for every stage in the life of a metalworking fluid. 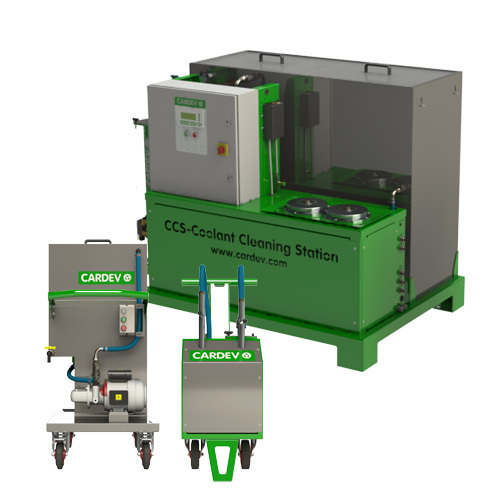 Accurate mixing, safe and efficient fluid transfer, recycling systems and efficient disposal methods help: Reduce costs, Increase coolant life, Reduce Health and Safety risks, Reduce carbon footprint. 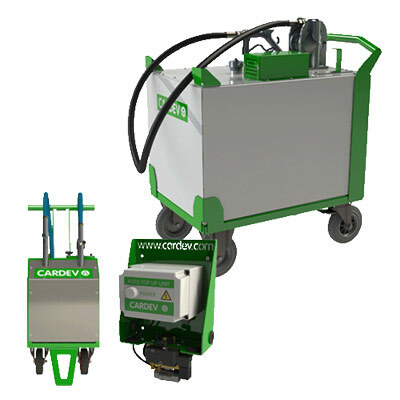 Accurate concentration, strong emulsions and fast delivery; locally or through distribution pipework. Safe and efficient movement of fluids around the workshop. Extend coolant life, reduce disposal volumes & coolant costs, reduce H&S risks.